The Aironet 2800 Series is packed with flexible technology. 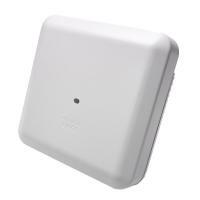 It gives your wireless network the capability to meet your ever-changing business goals. 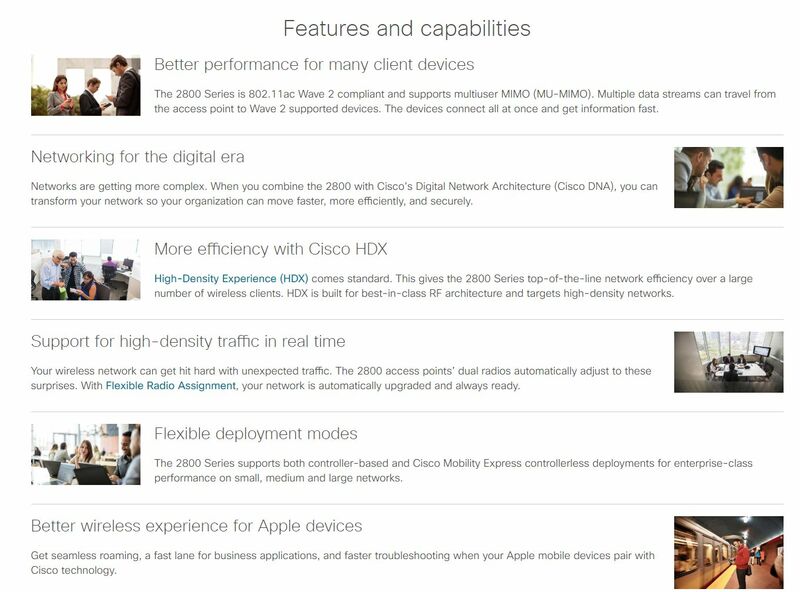 These best-in-class access points support the cutting-edge 802.11ac Wave 2 standard. They open the way for innovations that will help you meet today's needs and future objectives. · Nonoperating (storage) altitude test: 25˚C, 15,000 ft.
· Operating altitude test: 40˚C, 9843 ft.
For full datasheet click here.